Please apply between January and March 31st yearly. 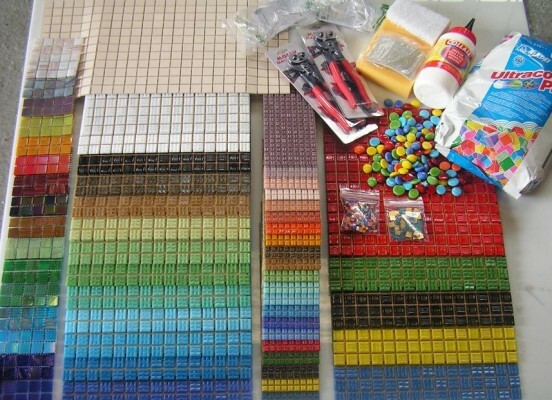 Apply for this FREE and WONDERFUL PACK OF MOSAIC MATERIALS by HOBBY-ISLAND MOSAICS. Anyone (artist/parent) can apply on behalf of a school or community group but please check first so resources are not wasted or applications duplicated. If you are not successful first time you may apply again the following year (always open between Jan – March) if you have received a pack before you may apply again but your request may not be granted. The awards are discretionary - we have 15 packs worth £160 each and are only given in the form of materials. We decide who gets the packs from your short statement on the application form. Regretfully it is not possible to acknowledge those that are not successful. Thanks to our sponsor Hobby-Island Mosaics for providing this fabulous opportunity to make wonderful art with tiles! This is where the pack will be posted. Will you consider purchasing more materials from Hobby-Island Mosaics or any of our other suppliers on the BAMM website for future projects? Have you read the useful information about education projects? If the pack inspires you to do a larger commission and you need help then contact one of our mosaic teachers from the BAMM website.